One of the most underrated places in the San Francisco Bay Area.When we are asked where to go in the Napa Valley, we don’t say French Laundry.. Foodnut suggests Redd Napa. Located in the heard of the Napa wine country and specifically in foodie heaven aka Yountville, California. It earned One Michelin Star in 2012. We have dined here 4 times, with the last visit in the Summer of 2018. They also run sister Italian restaurant Redd Wood, which is also a fabulous dining establishment. Decor,Vibe – Redd features minimalist understated decor with a nice open patio in the courtyard, great for cooler evening meals. Lots of foodie tourists dine here, as expected. Wine prices were reasonable and collection diverse, especially being in the middle of the wine country. Glasses from $9, Bottles from $29, $25 Corkage. $14 for a very good glass of Tribute Chardonnay. Lots of specialty cocktails on the menu. Their menu is short and concise with nine or ten starters and roughly eight entrees. Signature dishes at Redd Napa include the smoked fish, sashimi, risotto, pork belly, scallops, and duck breast. They also have a five course tasting menu ($80) for the entire table. It features items on the menu along with special dishes not listed. The Mojito ($13) was strong, balanced, and well-made with fresh mint and good rum. Patron Silver was used. A little small though. Their bartender really knows how to make cocktails. Samurai ($12) Charbay green tea vodka, blackberries, yuzu, ginger beer was red, strong, and recommended. Ask for their bread – it is warm and crusty – excellent. Shrimp Tempura ($16) with siracha sour cream was a lightly battered, eggless starter. Looked a bit plain but it worked ok.
Donut Holes ($8) were the most expensive ones we’ve ever had, but were fresh from the deep fryer. Coated with powered sugar and dipped in one of the 3 included sauces, they were awesome. They were served at Brunch. In 2015 they switch to 1 sauce, a dark chocolate sauce with espresso, cream, and sugar. Smoked trout, potato salad, lemon cream, beet relish ($15) is another fabulous starter. We are used to their excellent smoked salmon, but the trout is also worthy of ordering. Spring salad, frisée, watercress, english peas, mint, buttermilk dressing ($12) – This is an interesting salad that will not appeal to everybody. Lots of fresh greens, but minimal dressing. You could really taste the individual ingredients and how “raw” they were. Melon gazpacho, cucumber, basil ($14) is a refreshing starting for summer. Great for vegetarians. We hesitated to order the Glazed Pork Belly Appetizer ($13) with apple puree and soy caramel, but the server really recommended it. It was very tasty, although it had quite a bit of fat as expected. The immense quantities of meat were very tender and the sauce went with it well. It could have used more greens to balance out the flavor. Caramelized diver scallops, cauliflower purée, almonds, balsamic reduction ($16 for appetizer size or $31 as an entree) – Yet another dish we have ordered several times. Why can’t other cooks replicate their excellent scallops? A must order for scallop fans. They were nicely caramelized and in good quantity. Highly recommended and one of the best scallop dishes we’ve had. Yellowfin tuna and hamachi tartare, avocado, chili oil, fried rice, cilantro ($15) is a signature dish and rightly so. A must order. Crispy rice and soft tender tuna in each bite. In 2015 it changed to Yellowfin tuna tartare, asian pear, avocado, chili oil, fried rice. Buttermilk pancakes, apple compote, Vermont maple syrup ($15) – Wow. We wish a breakfast place closer to home would cook pancakes this well. Light, fluffy, absolutely perfect. The syrup was top notch and the apples were not too sweet. Redd lobster club, poached maine lobster, bacon, lemon aioli, shoestring potatoes ($28) – Another Redd hit. Lots of perfectly cooked lobster between high quality Brioche. In 2015 we ordered this salad style. Low on the carbs with large nuggets of salmon. Perfect for hotter summer days. Smoked salmon, country bread, herb cream cheese, pickled onions, scrambled eggs ($14) – We have ordered this in the past and it remains excellent. High quality salmon and bread. Very fresh and also highly recommended. Served at Brunch. In 2015 they altered it slightly by placing the salmon on top of the bread. The picked onions were fabulous! Tasting of cold foie gras preparations ($22) stone fruit, pistachios, brioche was heavenly. Terrine Foie Gras 3 ways – Crusted with pistachios, traditional terrine with cooked cherries, and on a puff pastry. All smooth and top notch, a must for any fan. We had it the day before the Foie Ban took place, but re-ordered in 2015. Decadent but worth it. Ask for it during lunch time. They did not serve it in 2018. Sashimi of hamachi ($15) with sticky rice, edamame, lime ginger sauce had lots of fresh fish on top of a bed of sticky rice. The dressing was especially good. Roasted chicken, rosemary polenta croutons, trumpet mushrooms, asparagus ($28) is almost as good as Zuni’s. Tender, juicy, and pristine. The polenta was crispy and extremely delectable. We hate ordering chicken in a restaurant, but this one is worth while. Prime new york steak,short rib,caramelized onion, pole beans, wild mushrooms ($36) is a fantastic dish. Excellent meat quality with robust deep seated flavors. Liberty farms duck breast ($30) onion fondue, cherries, spinach, turnips, five spice was cooked to almost medium, although we asked for medium rare. Duck flavor and quality was heavenly. Quantity was just right. Love cherry sauce with duck, it’s a perfect combo. Wild mushroom risotto, spinach, truffle oil ($18) was simply awesome. Initially you smell the truffle oil then the rich flavors of the cheese and mushrooms hits. A vegetarians delight! Carnaroli risotto, maine lobster, meyer lemon confit, truffle oil ($17) was the style served to us on our last visit in 2015. Also amazing, but a bit heavy on the lemon accent. Warm duck confit salad, balsamic, cherries, fried shallots, bacon, croutons ($15) had minimal green yet lots of shredded duck. A good hearty salad for lunch. Olive oil poached tuna salad, olives, peppers, hardboiled egg ($20) – a salad for lighter appetites. Still very good, but there are far more better options on the menu. Butterscotch pudding, vanilla anglaise, toffee, pretzel bits ($10) is their signature dessert. A richly flavored must order with a sweet – savory hint. Strawberry tart, pistachio, cream cheese mousse, strawberry sorbet ($10) was fruity and well done. Crisp pastry crust with a lite mousse and some fresh strawberries. Brown butter panna cotta, roasted peaches, hazelnuts, blackberry sorbet ($10) was smooth and featured alternating layers of different flavors and textures. Highly recommended. Foie Gras Beignets ($12) was on the menu for the Foie ban. A bit too savory with the peanut butter and jelly combination. Strawberry pain perdu ($10) cream cheese ice cream, strawberry verjus is french toast in French. This was a must get dessert that we devoured quickly. Warm brioche with the cream cheese ice cream melting into it. Nice fresh fruit to balance out the creaminess. Peanut butter ($10) milk chocolate gianduja, peanut honeycomb parfait is a Resses fan’s delight. A slight of saltiness to the cookie bar made it interesting. Petit Fours – Saltine Toffee and Orange Chocolates – Free and awesome, rounded out the meal. What a combination. The Calamari Salad ($13) was covered with lots of rice noodles and was good, not spectacular. It could have used more calamari and less noodles. Pork tender loin, broccolini, turnip, olive, pistachio, cherry jus ($29) was recommended by the waitress. This huge tender chunk of pork came medium rare, and proved to be good but not as great as the other dishes. Strawberry Tasting ($9) dessert had strawberries done 3 ways, french toast, float, s’more. The float tapioca version was awesome, the other 2 were just fair. Mango Chili Sorbet ($10) with coconut sticky rice. A weird combo. The sorbet was just slightly spicy. Redd’s service was very good, with no need to chase down waiters or ask for refills. It faded when the restaurant was full. The atmosphere was modern with very minimalist decor. Outdoor patio tables are available, but fill up rapidly. Yes, there are excellent restaurants in Yountville outside of Thomas Keller’s Empire! Redd’s food rivals the best restaurants in San Francisco. Highly recommended and one of our favorites. After a meal, hit the Villagio Spa across the street for a massage or spa treatment. The outdoor Jacuzzi must not be missed. They have some yummy snacks upstairs in the sitting area. Their $25 access fee to just the Jacuzzi and Sauna is a great deal. I thought Redd was an extremely bad dining experience. While on vacation, my new fiance and I stayed at the Vintage Inn in Yountville. We had a 5:45 pm reservation on 8/19 at Redd and requested an outside table. Debbie, the hostess told us they were all reserved so we ended up eating our dinner looking out at the outdoor space which remained at least 50% empty for the rest of the night. The hostess and manager were completely unapologetic and very snotty about it. Besides that, the dining room where we ate was full of flies the entire time and the chicken dish was so tough that my fiance had to send it back. We live in NYC and I thought I had seen the worst, but the staff at Redd was the most pretentious I have ever experienced. 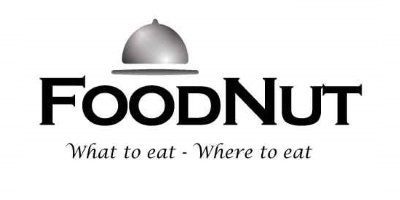 I strongly recommend against this restaurant. It was not worth the time or money with several other fantastic restaurants within a few minutes walk.